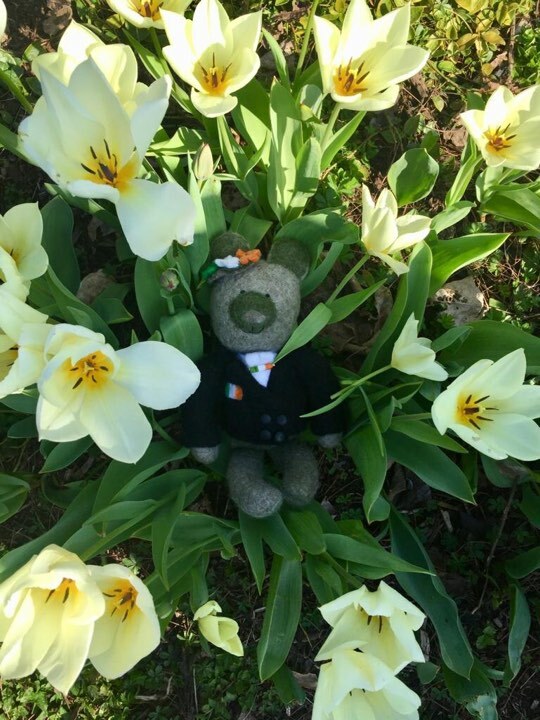 Here at Book Cover Bears we hope that while exploring our site you find a bear that steals your heart but if you are looking for a bespoke bear completely personal to you we would be happy to create a very special bear for you. Please contact us if you would like to find out more about our commission service. 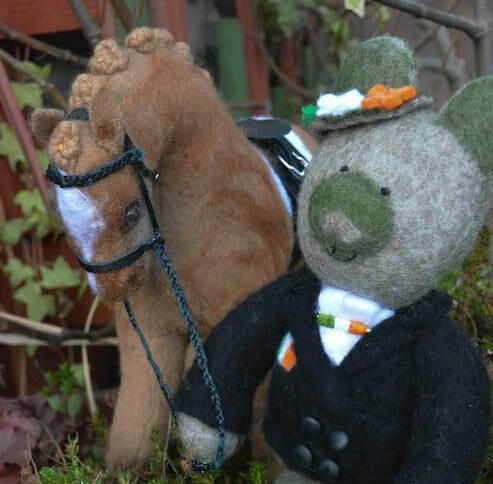 ​​We were recently honoured to be asked by a member of the Para Equestrian Ireland Team to create a mascot for the team to accompany them to the competitive dressage events they will be attending as they strive to qualify for the Tokyo 2020 Paralympics. 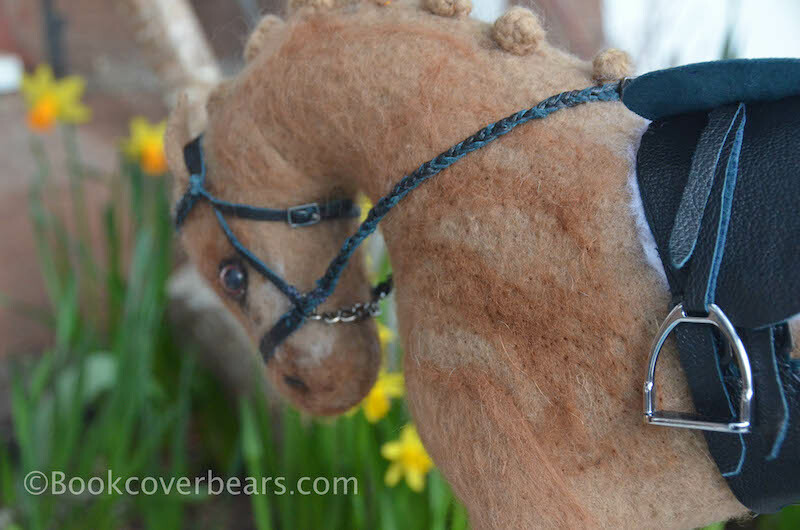 Tokyo has a huge heart which is filled with love for all things equine and the people he has met during his many adventures with his four legged friends. He takes great joy in watching special relationships develop between his beloved horses and their riders, his gentle smile quietly encouraging and supporting them on their journey. Tokyo believes everyone deserves the chance to reach their full potential and will be steadfast and loyal to all those who try. We are delighted to report that Tokyo and Hope have quickly settled into their new home and have already become a popular part of the team. We look forward to following their journey and wish the entire Para Equestrian Ireland Team all the luck in the world. 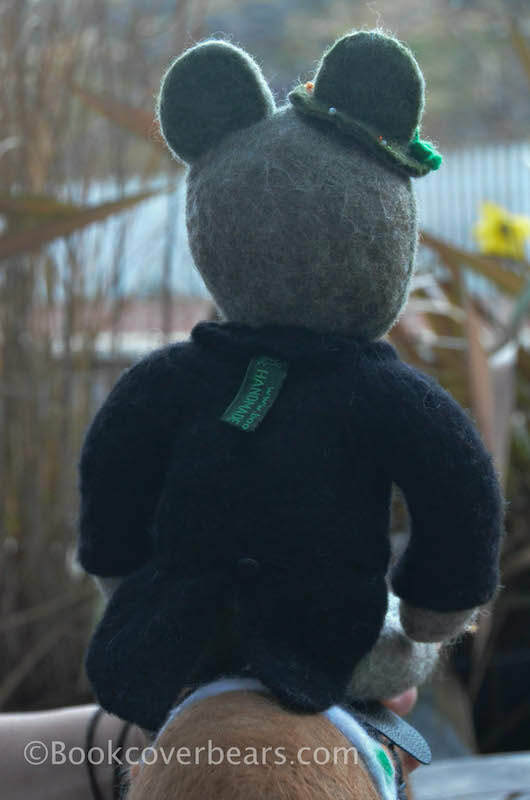 Earlier in the year a lovely lady came to the station and after meeting our bears decided that she would love to adopt a Book Cover Bear as a special keepsake for her son. However, after seeing for herself how very different each bear was, she knew that her son should meet the bears for himself and see which bear was meant for him. ​Mungo Johnstone's heart belongs to the Scottish Highlands. He loves wearing his handmade kilt and sash in celebration of his love for this beautiful place whenever he can. 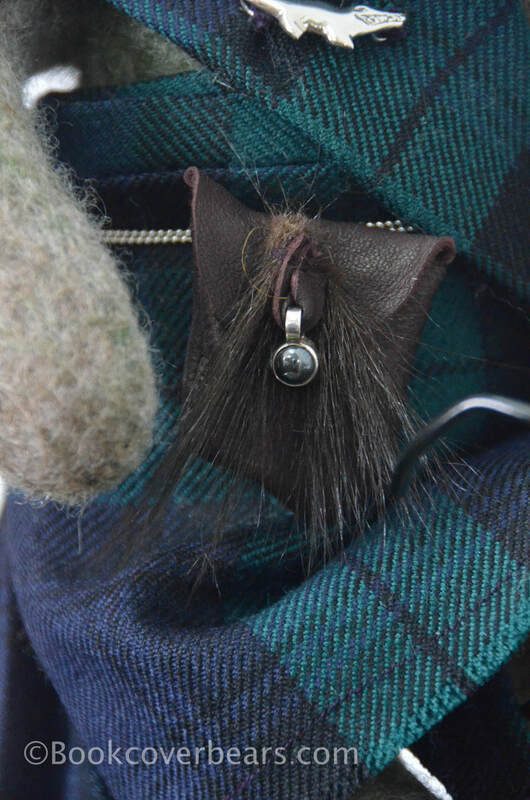 His kilt is made in Black Watch Tartan which is a regimental tartan very close to his heart as is the little Mignon Faget silver alligator that adorns his sash and the pretty silver mounted stone that decorates his sporran. ​While Mungo is a very keen cyclist he also likes nothing better than lying on his hand felted Mardi Gras tartan rug and watching clouds drift gently by overhead. Mungo has the most kind and empathetic nature and will be the most wonderful friend. A very special bear indeed. Safe and hugged in his new home.